Nothing feels more like home than your city's skyline. 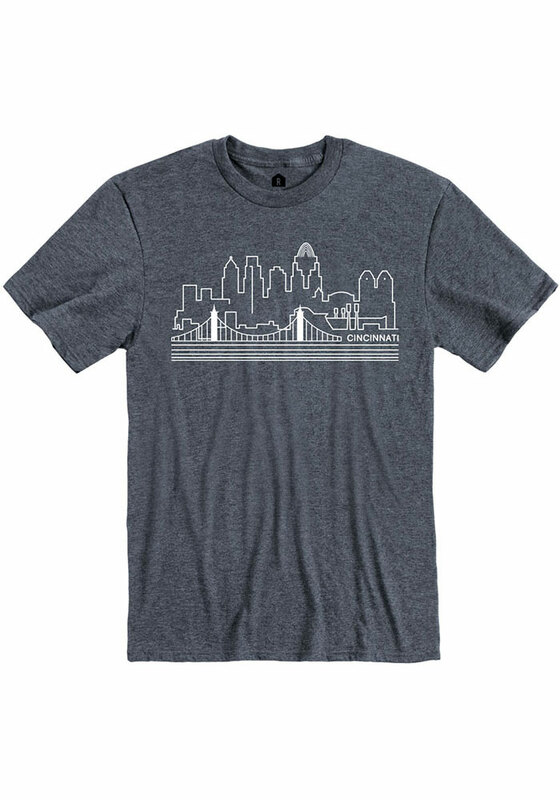 Take in the view of the Cincinnati skyline with this navy, super soft all cotton tee. Show your love for Cincinnati with this tee.